At the law firm of Singer Pistiner, P.C., in Phoenix, Arizona, we understand that divorce is an emotionally and financially taxing experience. That's why we provide you with a simple, quick and personalized service where you will deal with one attorney who will handle your case from start to finish. No matter how angry you are over your divorce, seeking revenge through the court system will only cost you a huge amount of time and money. Our firm's philosophy is to help our clients find a more civil and amicable way to divorce. With our help, you can settle your case quickly and start rebuilding your life. 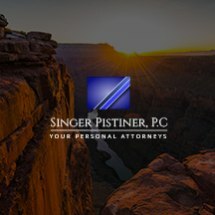 At Singer Pistiner P.C., our lawyers will guide you through the Arizona divorce process. We will help you resolve child custody, visitation, child support, property division and other issues arising from divorce. We'll ensure that time and money is only spent where it can make a real difference in the outcome of your case. By doing so, we can keep your costs down and minimize the pain of a difficult life event. We provide legal services in a supportive and friendly environment. In working to achieve a solution for you, our lawyers will respond with attentive service and give your legal matter all of the attention it deserves. Our law office is located on Camelback Road in Phoenix, and we represent clients throughout the Phoenix metropolitan area, including Scottsdale, Tempe, Chandler and Mesa. If you'd like to know more about our firm or how we handle divorce, please feel free to call 602-264-0110 to set up a free initial consultation.